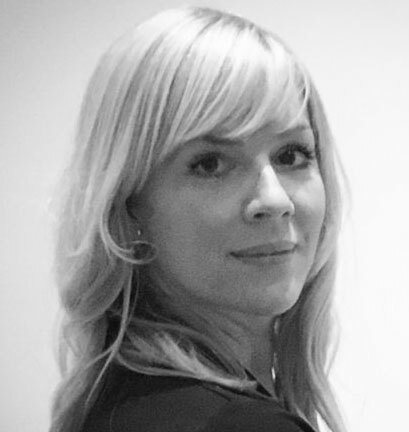 Camilla Lindvall Dahlgren, PhD, is a senior researcher at the Regional Eating Disorders Service (RASP) at Oslo University Hospital, Ullevål HF. She has been a member of the RASP research team for ten years, with visiting research positions at Oxford University, Columbia University, University of California, Berkeley and Mount Sinai School of Medicine in New York. Her core professional expertise includes the assessment and treatment of eating disorders and obesity, and she is currently leading a Health South-East funded, longitudinal projects on cognitive functioning in patients undergoing bariatric surgery at Aker hospital. Dr. Lindvall Dahlgren has published over twenty peer-reviewed journal articles, book chapters and treatment manuals, and has an active role in the supervision of PhD candidates and psychology students. She is a member of the Eating Disorders Research Society (EDRS), and regularly presents her work at both national and international conferences. Students or prospective students who are interested in exploring research in the topics listed below (or others) are welcome to contact Dr. Lindvall Dahlgren. The Oslo Bariatric Surgery Study (OBSS) Cognitive – A Prospective Study on Bariatric Surgery and Cognitive Function: The “OBSS Cognitive” is a collaboration between researchers, clinicians and surgeons at Oslo University Hospital (Ullevål and Aker) and Oslo University. The study aims to investigate the role of cognitive functioning and mental health issues in post-operative weight loss in patients undergoing bariatric surgery in Norway. The study is funded through a PhD research grant from Health South-East. The PhD candidate is Gro Syversen, also a member of the RASP research team. The Eating Disorder Assessment for DSM-5 (EDA-5): Validating a Novel, Technology Assisted Diagnostic Tool for Eating Disorders: The EDA-5 interview, available through www.eda5.org, is an electronic application designed to facilitate the assessment of clinical eating problems. The interview was developed at New York State Psychiatric Institute/Columbia University Medical Center, and has shown to generate valid and reliable DSM-5 based eating disorder diagnoses. This study is a collaboration between RASP, Modum Bad and Columbia University, and aims to translate and validate the EDA-5 for Norwegian users. General and Eating Disorder Specific Flexibility: Developing and Validating the Eating Disorder Flexibility Index (EDFLIX) Questionnaire: The aim of this study is to investigate the psychometric properties of a newly developed questionnaire called the Eating Disorder Flexibility Index (EDFLIX) Questionnaire, designed to assess general and eating disorder specific flexibility. Transdiagnostic Cognitive Remediation Therapy (CRT) for Eating Disorders: This study is a randomized controlled trial comparing cognitive remediation therapy (CRT) plus treatment as usual (TAU) to TAU alone. The study is led by Dr. Siri Weider at NTNU, and is the first in its kind to adopt a transdiagnostic approach where patients will be recruited to participate based on baseline cognitive difficulties, rather than specific eating disorder diagnoses. Eating Disorders in Social Media – Investing the Role of Facebook Social Media Support: This is a study exploring perceived social support in the largest online (Facebook) eating disorder forum in Norway. Data will be collected in 2019 and 2020. Eating Disorders and Reproductive Hormones: This is a planned project investigating the role of reproductive hormones in binge eating and obesity.